When I first moved here to Sebastopol, California 19 years ago and saw the flat lands below my house fill up with water and birds after winter rains; saw the mustard bloom stretch out like a neon yellow carpet, I knew I would have to find a way onto the land and water to explore. This area, known as The Laguna de Santa Rosa, encompasses the ecologically rich watershed lands that span from Forestville and the Russian River south to Cotati. Eventually I managed to get out on the water and paddle, and I joined the plein aire painters who sometimes had access to the private Laguna lands. Later I learned of the vernal pools and explored them on the magical Lynmar Winery lands on the Laguna. I became convinced that I’d moved to one of the more exotic places on Earth! Fast forward to this week when the winter rainstorms abated, the sun came out, and I parked by the side of Sanford Road to do some mini Laguna captures. The traffic was roaring by so I wasn’t particularly comfortable and needed to find a place a bit more relaxed. This time I visited the Laguna Foundation which is open during weekdays and not only has views of the mustard bloom and Mayacama mountains behind but also the Heron Art gallery that features nature oriented art by a different artist every four months and Stone Farm with its weathered barns and farm equipment. And my sketch buddies joined me for a day of sketching and picnicking on site. I remembered sketching this barn 18 years ago when there were also cows, and not yet the offices of a Foundation with nature workshops, land stewardship programs, native plant gardeners, community education programs and so much more. Sitting here with my back to the “pond” and listening to a chorus of marsh birds. At this point my eyes were weary from the bright sunlight, so I sat in the shade of the maintenance man’s truck and enjoyed a closer subject matter. It’s so much easier to see what you’re doing when the sun isn’t shining either directly in your eyes or on your white paper! I’ll have to save a watery Laguna sketch for another day! This is the view from Lynmar Estates. The mustard bounty will last a while longer. It’s a great excuse to get out with your sketchbook, listen to bird song, and experience that gratitude that we feel for living in the midst of such abundant natural beauty. 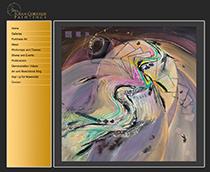 All images and text are the original copyrighted work of Susan Cornelis unless otherwise attributed.